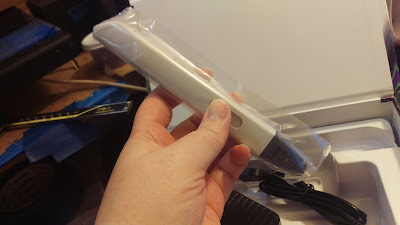 Because the pens are a new technology, units are faulty, and people get paid to review things it, is possible that my iPeson was faulty as a one-off experience. To be honest, with 27 4+ reviews and no 1 reviews on amazon, the odds are high. I did a bit more research, reading reviews sites, amazon reviews, etc. I enjoyed the experience of opening the box. 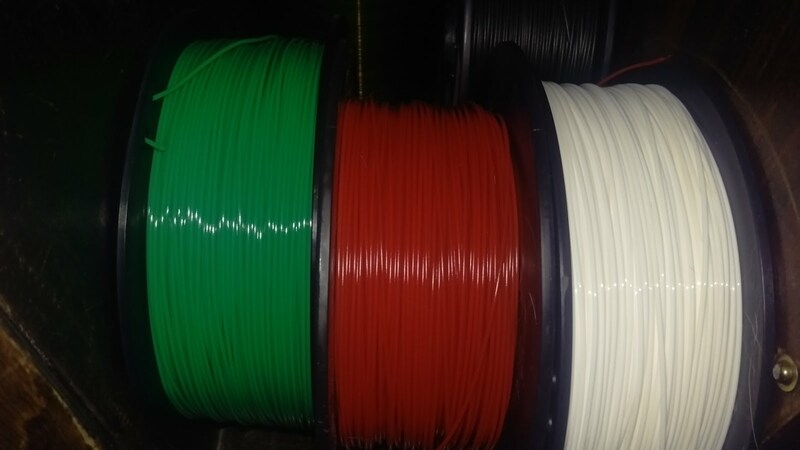 I am delighted to see the filament color combination. 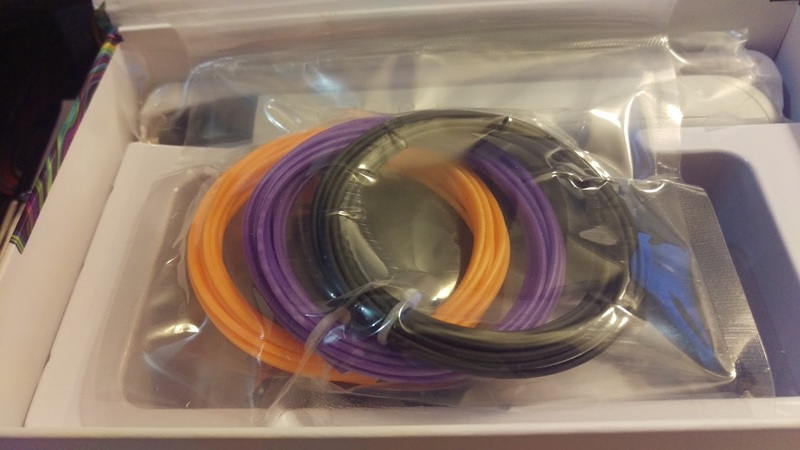 Black, Orange, Purple - Halloween colors! 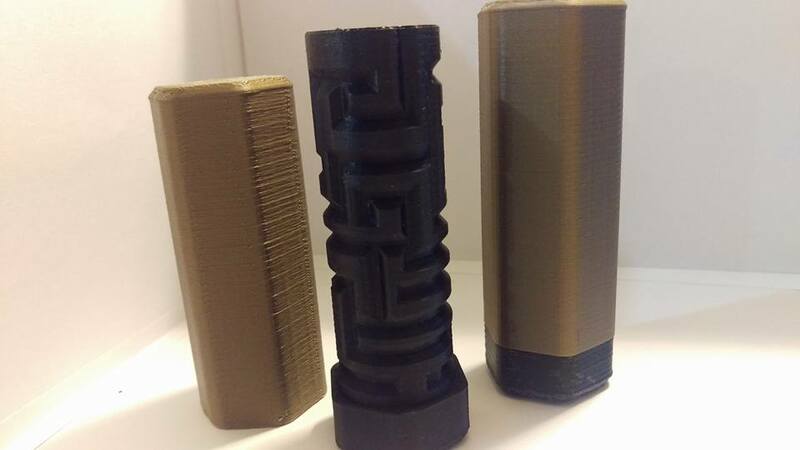 I also have a selection of left over rolls in PLA and ABS from my adventures in printing. 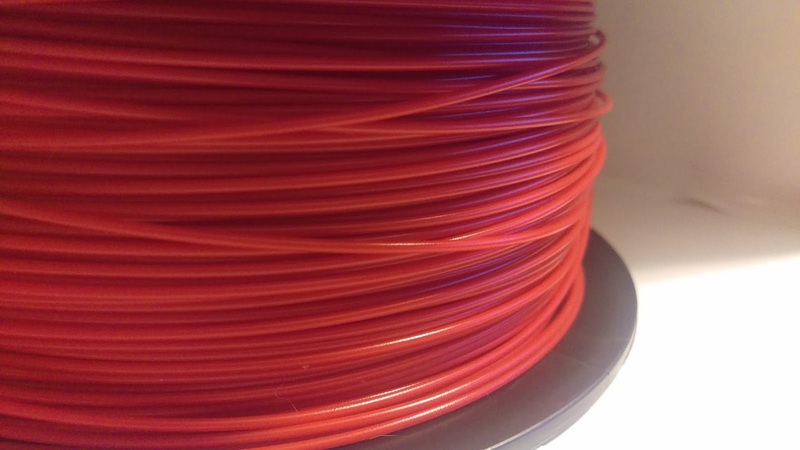 I have 3 full rolls of blue/red/gray, because I couldn't get the calibrations figured out on my printer. I have had some time to actually play around with my pen, without anything jamming or breaking. So that's exciting! So far this pen is amazing. The worst con it has is that it needs a power cord to run, and the power cord is a little short. I need to get an extension cord for it, because it is awkward to use. Other than that, it is super simple to use, it is smaller/less bulky than the iPeson and is easier to write with. My hand doesn't tire like it did with the iPeson. 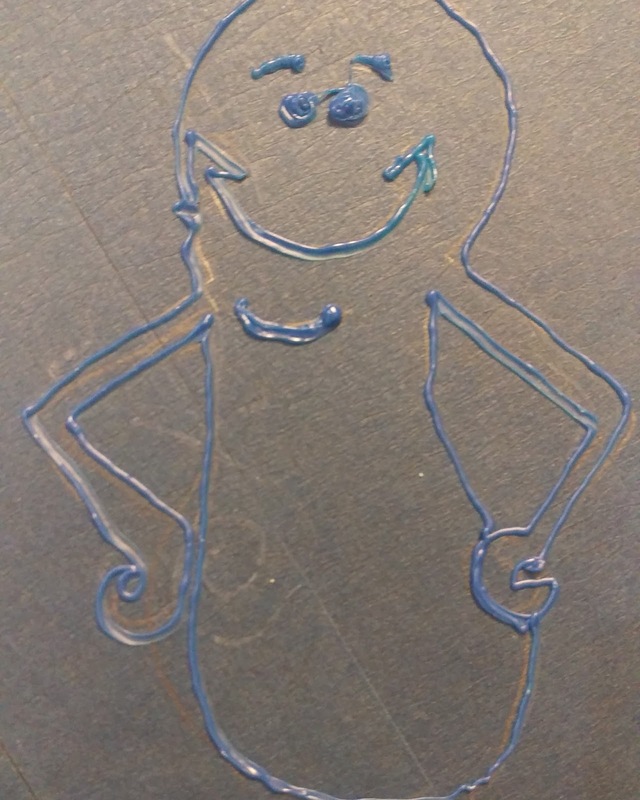 I have doodled with both ABS and PLA and am having pretty good luck with extrusion speed and my hand speed. It needs a little bit of refining, but i am definitely getting the hang of it! You can double click the feed button to make it auto-feed, which is great. I need to develop the skill to turn it off again, without messing up my doodle. All in all, this is the superior brand. 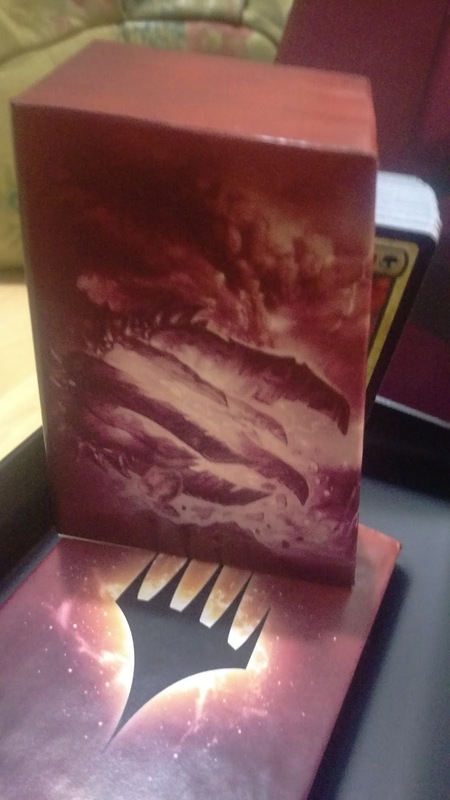 Even the box was nicer! 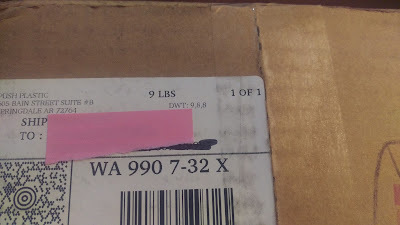 It was a heavy duty cardboard that snaps into place with a magnet. The artwork is better as well. It looks like they actually paid a designer to put time/effort into making it look nice. 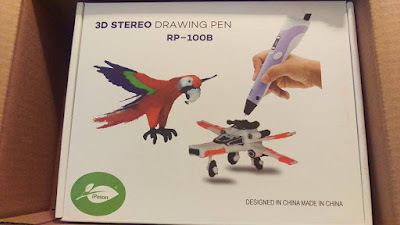 The iPeson's box looked like someone cutout pictures of some 3d pen artwork and slapped them haphazardly all over the board. Late Monday night I decided to splurge on myself, post-holidays. First I ordered a $40 pair of spider earrings from the Betsey Johnson collection, from Macy's.. The boyfriend wanted to buy them, but could buy two cool pairs of her earrings for the same price; I'm telling myself that he wanted to bury me in presents. The second, topical purchase was this 3d pen from amazon. Tuesday, as I started work I got a delivery - my 3d pen! 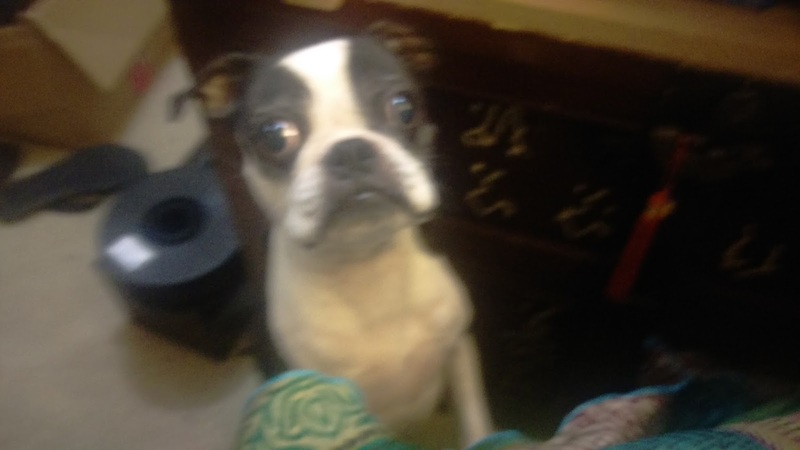 Unfortunately I had to work, and couldn't tinker. 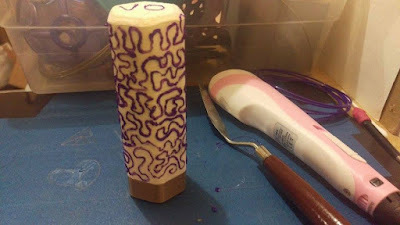 When I took lunch, I used the pen to doodle on one of my previously made puzzle boxes. The design came out. . okay I had to experiment with speeds and hand fatigue. I definitely need practice. Sadly, I won't be getting the chance to get that practice. On this particular unit while I pressed the unload button, which swaps colors of filament, the whole thing jammed. 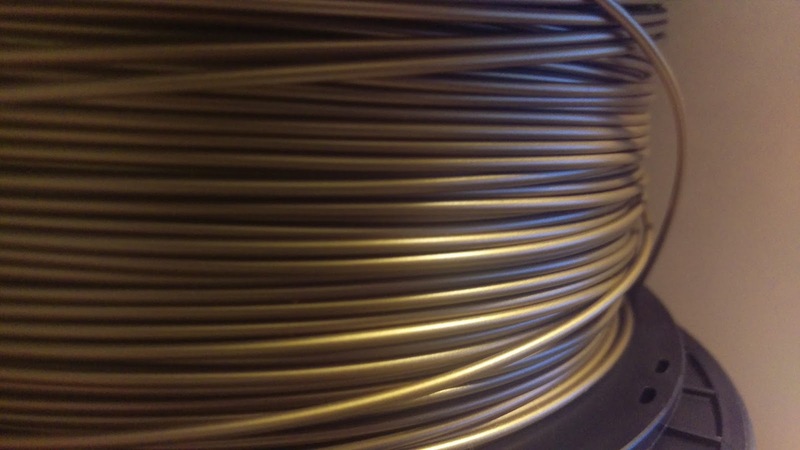 I followed the vague instructions; removing a couple screws to pop out the filament tube and pull the filament out, easy-peasy. However, when I put the whole thing back together, the LED screen screamed ERR.... ERR. none of the buttons changed anything, turning off and on again did nothing. I took it apart again to make sure everything was tight and in place - it appeared that way. 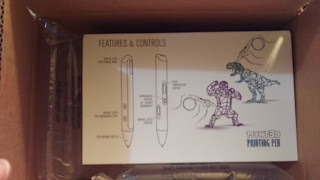 I contacted the company in the middle of the night who told me that basically they would send me a new nib if the nib was defective (didn't seem to be). 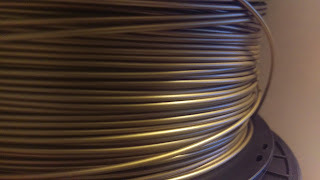 Also - I should have pressed the unload button to get the filament out (I did, I can read basic instructions.) Otherwise, just send it back. 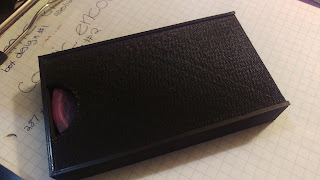 So I put it back in the box, minus the 3-4 grams of filament i practiced with, and scheduled a pick up. In the meantime, I ordered a Mynt3d. 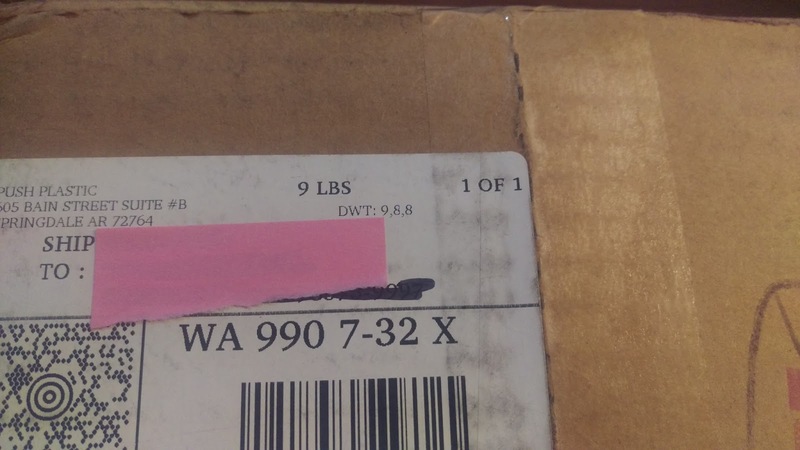 It should be here Friday, so I guess we will have a second unboxing, with a different brand! and I can compare! 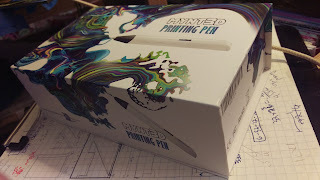 I have been on the fence about Lix Pen, but I see a lot of mixed reviews for them. I would love to try one, but the price tag is a little hefty in comparison to other pens. Too Expensive for something that has enough questionable reviews to make me wary. I also have been busy printing! 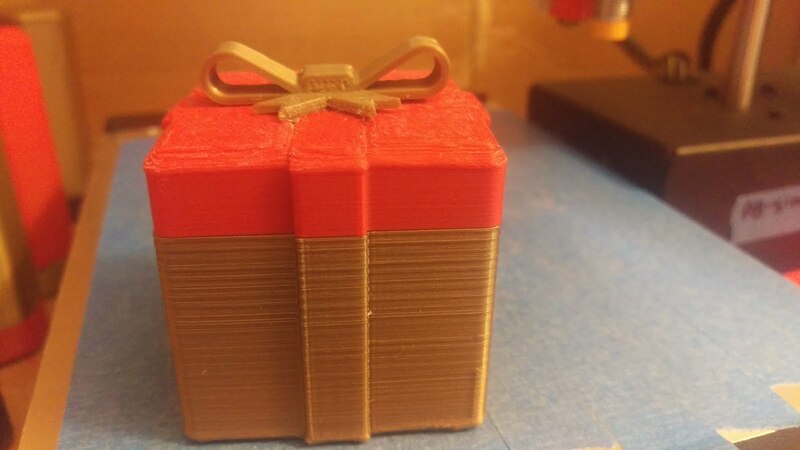 The same puzzle boxes from thingiverse, which I handed out at Christmas. They were a hit! In this bottom picture, you can see a leftover box with my feeble attempt at a zentangle pattern on it, in purple. Coming up soon - some seemingly successful designs for my Dixit BoardGame collection! 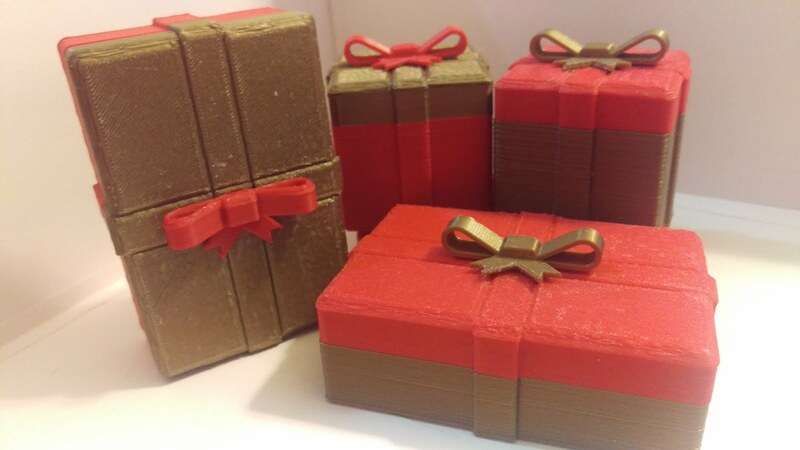 Here's a picture of a remix of the Christmas boxes I printed last week. The bows and ribbons were separated and snap in (i had some issue snapping the bows, so I used some glue. My favorite thing about this build is that I was able to print the top, bottom, ribbons and bow complete set in one full color. Then I can mismatch which goes where. I am not sure what to do with them - fill them with coins? A little bit of candy - They are small, maybe two snack packs of m&ms from Halloween would fit. Plastic Day x2 - Christmas Edition! I received my iXCC Green filament and Professional Ivory White by ProMolt 3D from the Amazon.com. To go with my Red and Gold from Pushplastics.com, I am officially ready to print ALL THE CHRISTMAS! It's been a very busy month! Lots of calibration. For every adjustment I made, three other things broke. I ended up needing to recalibrate flow AND my raft settings - after I finally had it tuned in to peal away. I have messed up a couple prints, solely because of the bad print. 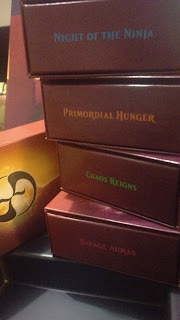 I moved on to a couple gift boxes. I would like to print something neat for everyone I see at Christmas - they have business-card-sized build-a-prints. it gets all the pieces for a snowman, a reindeer, etc. I am not sure that will pan out. 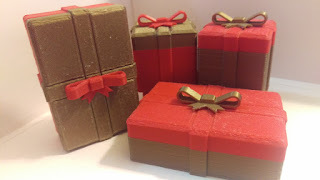 For now here's some cool gift boxes I have been printing.. 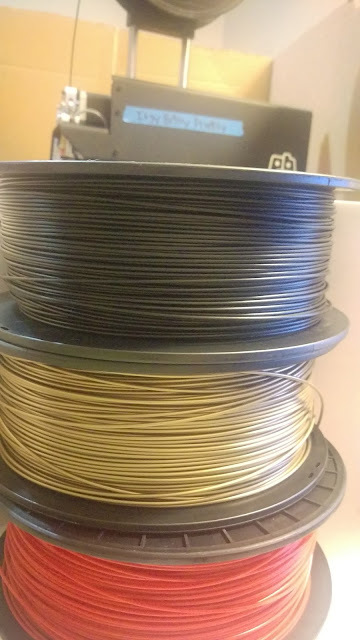 I used my gold and red PLA from pushplastics.com They fit together perfectly, and I have been able to interchange the colors. 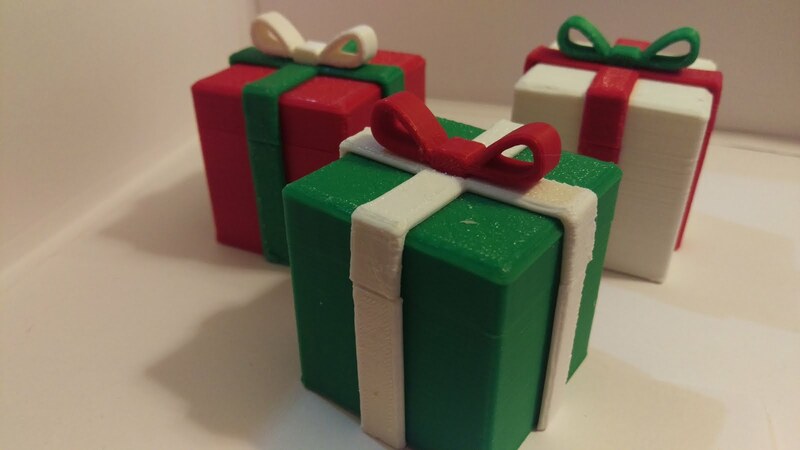 I am waiting on white and green so I can make more Christmassy stuff. I finally have a success! Long needed, after a week of calibrations and each solution causing another problem - I'm still trying to get my first layer to be perfect AND also separate from the raft easily. 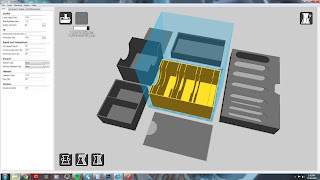 Here I am printing in PushPlastic's Gold and Black. I also have a Red, which I may try later on. I wish I had Green and White, you know. . For Christmas. I used a generator online to make some neat snowflakes, and would like to use them on gifts. My favorite day! 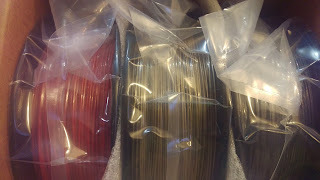 Delivery of plastics from pushplastic.com! I got Metallic Gold, Red and Black. Not much going on in the way of news regarding prints, but here's a quick unboxing post of my beautiful spools! 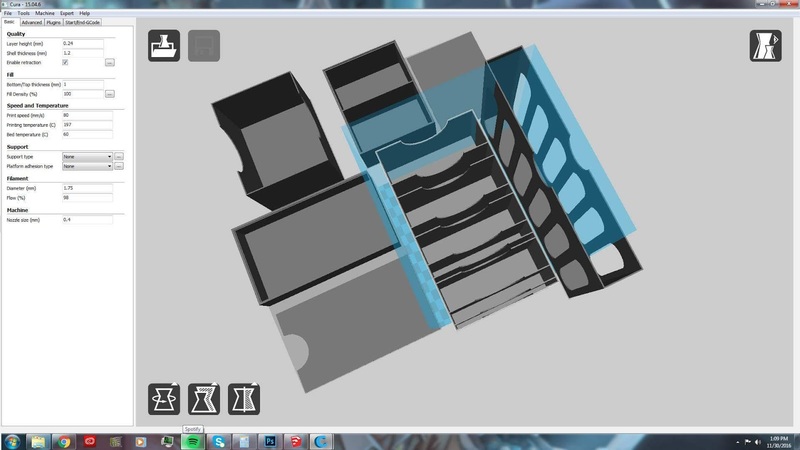 I can't wait to print all the things!! 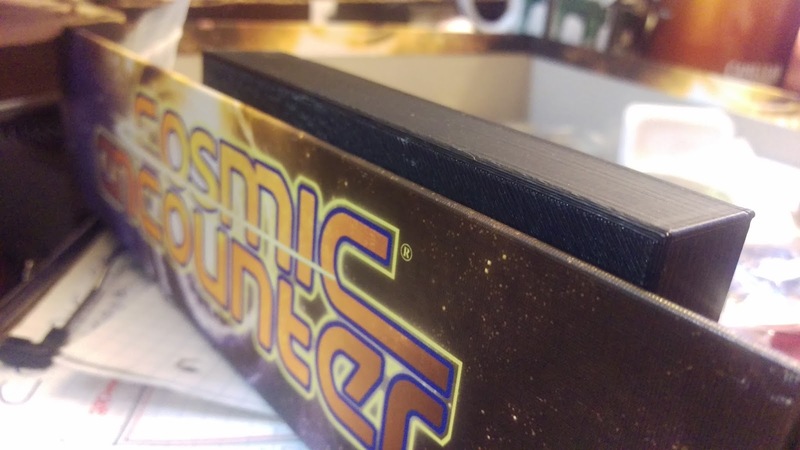 I have a couple puzzle boxes and some gift boxes to print, along with finishing up my cosmic encounters box, now that I think I figured out the flow issues I had. 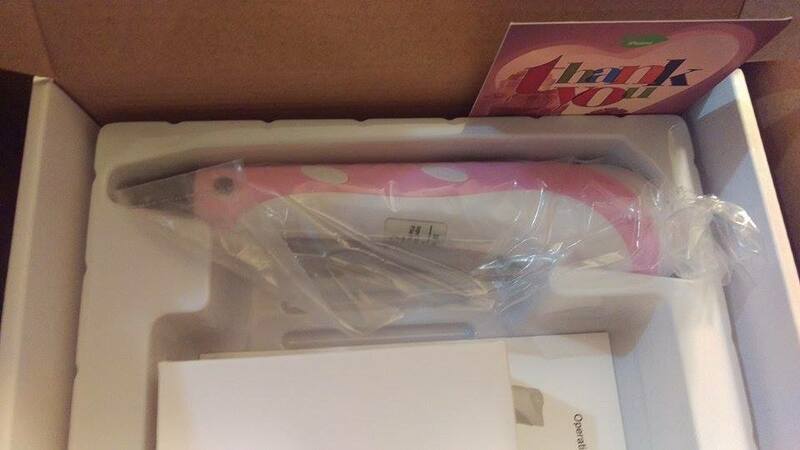 Charlotte was also excited to open the box with me! 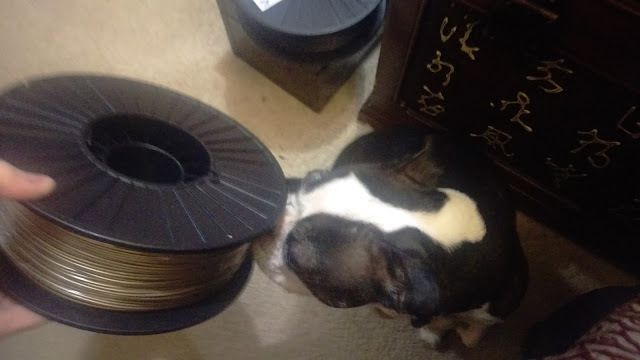 She couldnt wait to see what was in the box and wanted to smell every single spool. I can go with the flow, don't say it doesn't matter anymore. I didn't want to just give him a crispy Hundo, because while that is my ultimate favorite gift to give, it's harder to spend and he will probably be stopping at places like restaurants or gas stations, where that is cumbersome. Also, I love the idea of opening lots of presents Christmas morning, because I'm basically a 5 year old. But thats kind of boring, and I know he hates having extra junk around the house, plus with a giant move coming. Long story short (too late!) 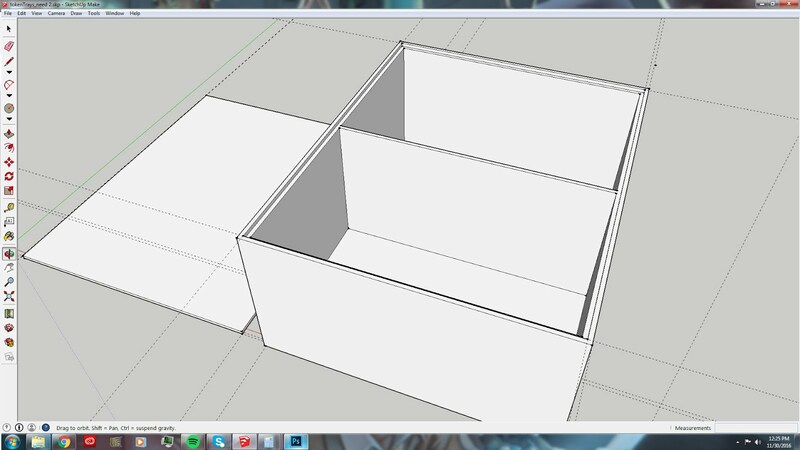 I decided on a puzzle box. After browsing what was already available on the web, I found This Cool Labyrinth Gift Box by Sneakypoo on thingiverse. I read the comments, most people LOVED it, but recommended to print the lid just a fraction larger than designed, as the fit was so tight some people had issues getting it to fit at all. I started with the inside, that has the maze on it. 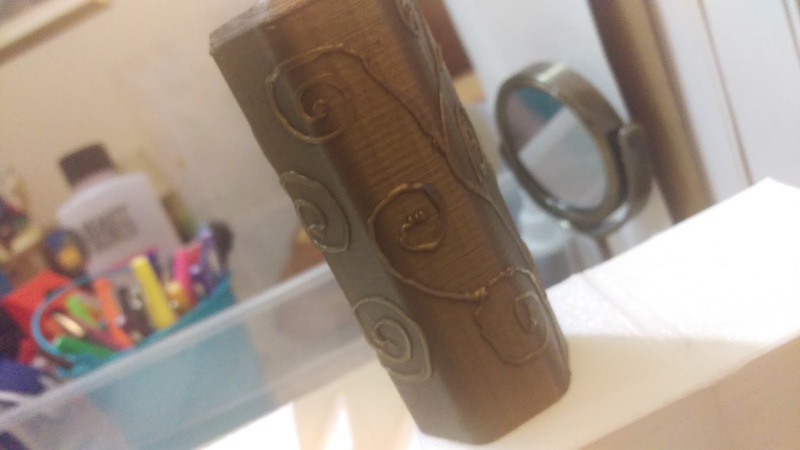 I wanted to make sure it would look good when printed. However, as you can see, I had some issues with the first attempt. Maybe related to my cosmic encounter fail from earlier in the week, I am seeing a lot of unclean lines and bubbling/zits, etc once the print reaches a certain height. 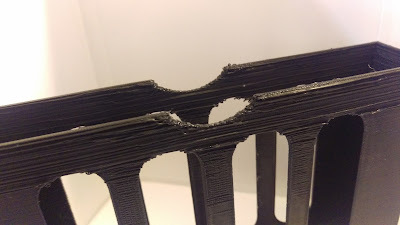 Google led me to Reddit and Printrbot Forums, which told me that I am probably overextruding. 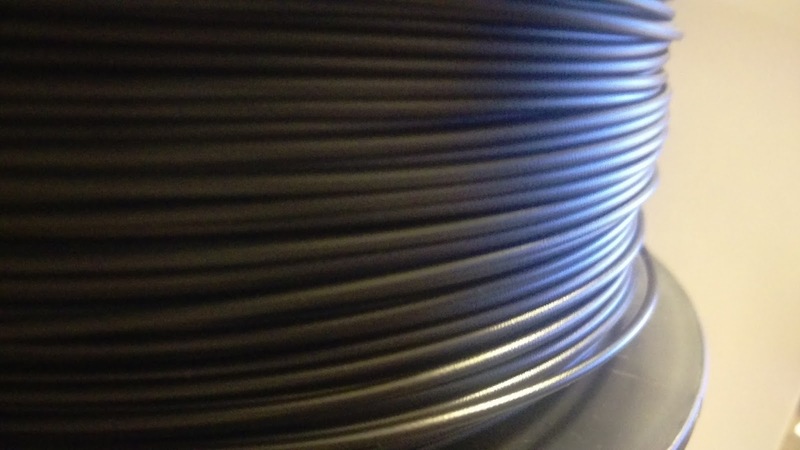 PLA should usually be around 90% flow. I had it at 100% flow. The second print I used 90% flow and had a much better result. I may try one more at 87%, because the very tip-top is a little messier than I would like. Plus having a couple of these lying around couldn't hurt. I will post some more images when I get the top printed too. I am a little worried that I will put it on and won't be able to open it again, even though I know the pattern and have multiple copies of the same puzzle. I have been busily printing, adjusting, scratching my head. Like I've said, I don't have the expansions, So I'm not sure how great this solution will be. 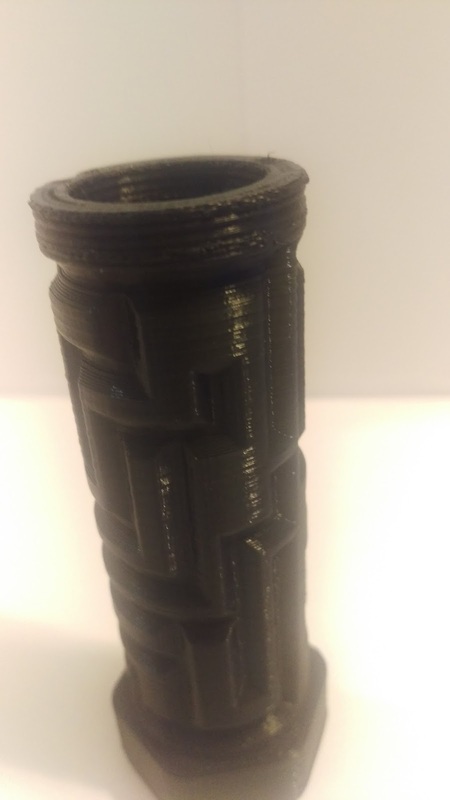 I have been printing out the pieces, just a little time consuming as my printer is too small to print more than one piece at a time, including the lids! I also might need to find a different solution for the Alien cards. 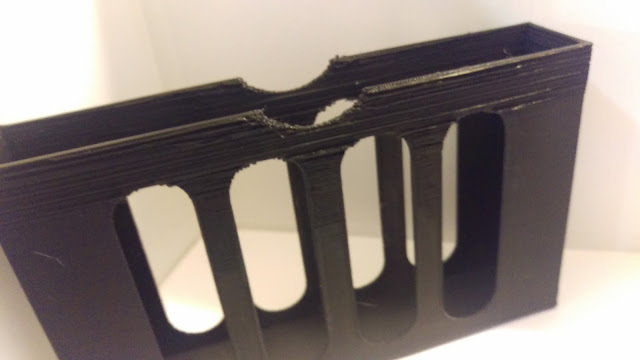 I can fit the holder on my bed, but once it starts closing the spaces on the top layer, everything starts falling apart and the print actually looks distorted., the plastic widens, and become loosely melted together. I did three attempts - the first attempt died when my power died. The second had the horrible issue with the layers, and the third I stopped when it started having the same issues, even though I slowed the speed. 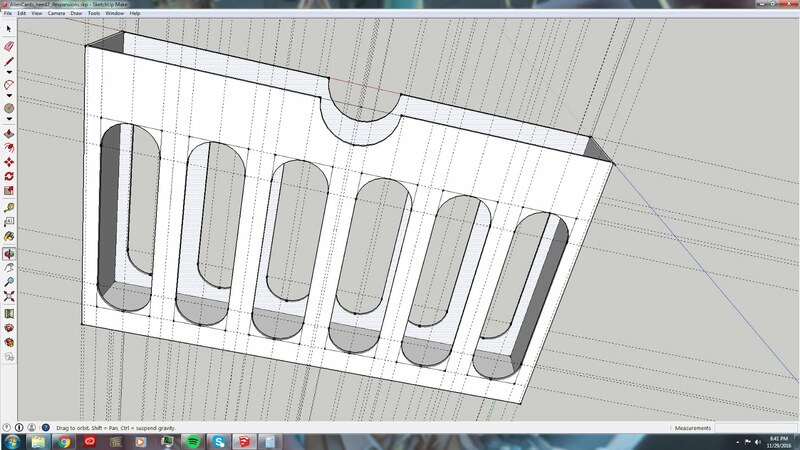 I probably need to print it without the holes, or make the holes smaller. 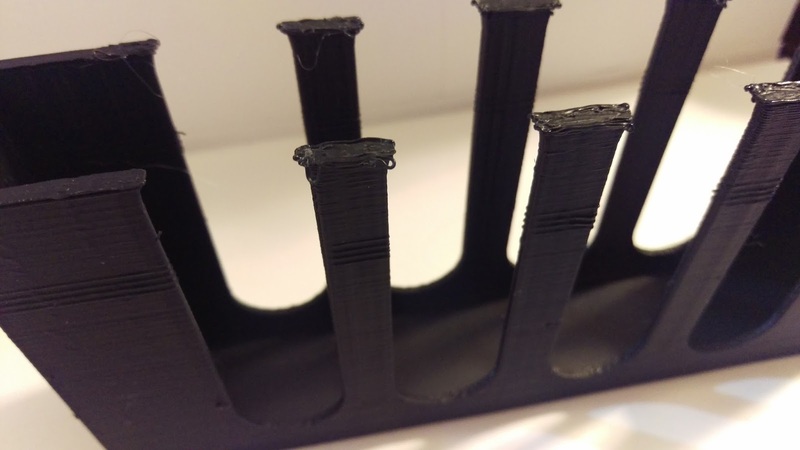 I have noticed that the Printrbot doesn't like fine detail when it's high up. 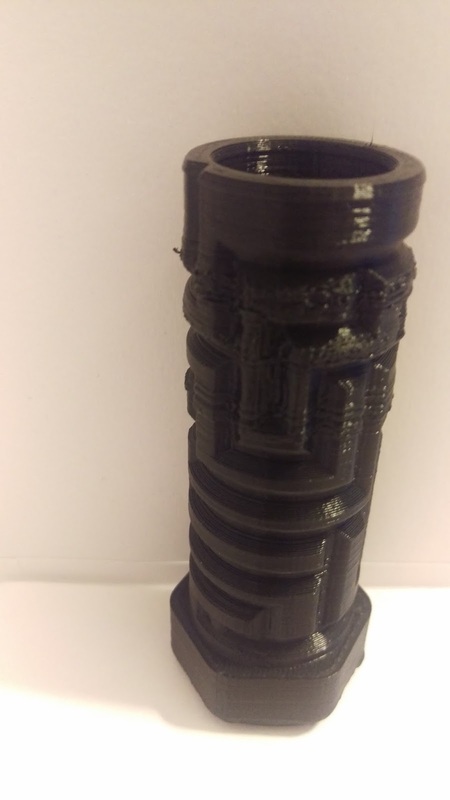 re connection issues - I think it was printing too fast. 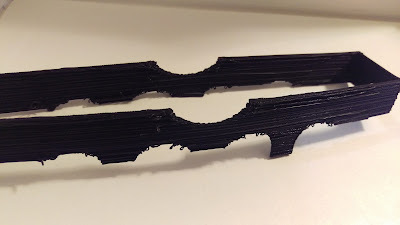 I might also need to make the walls thicker than 1mm, because the brittleness of those middle pieces has causes snapping issues. 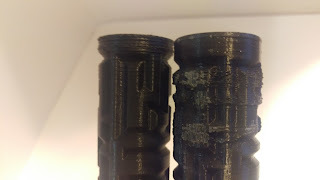 Also - you can see the horrible print quality after the circles closed off. Designing Cosmic Encounter insert part 3. 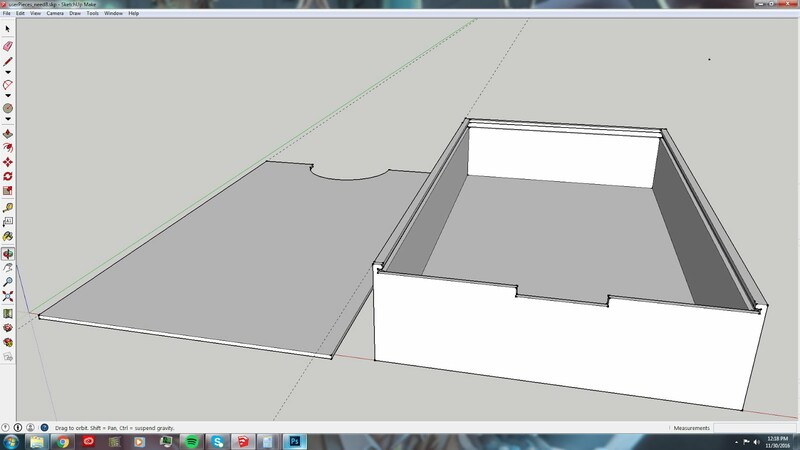 I think I figured some stuff out so that it will fit on the printer bed! Yay! 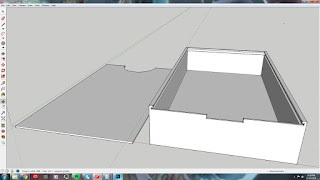 I somehow managed to mismeasure my box I can't fit the player boxes on their sides like I thought, because I have about 4 less millimeters than I thought I did. I think I can make, basically 2x2x2 and it should still allow much room for tokens.. though I will probably need to remeasure everything to make sure it will fit in my slightly smaller box. Here are the pictures of my successful print that utterly failed. I have had some time to start review, revising and transcribing my designs from my clipboard of graph paper to Google Sketchup I am a little worried because I only have the base game, no expansions. 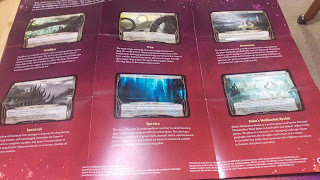 I looked up the card pieces so that I could plan out how much empty space to leave for each card type (squeezing them in with sleeves, because you kooky boardgamers love sleeving your cards!) I actually had to use a mixture of boardgamegeek and the PDF copies of the rules that come with every expansion, as they give a perfect breakdown of all of the content included in each set. 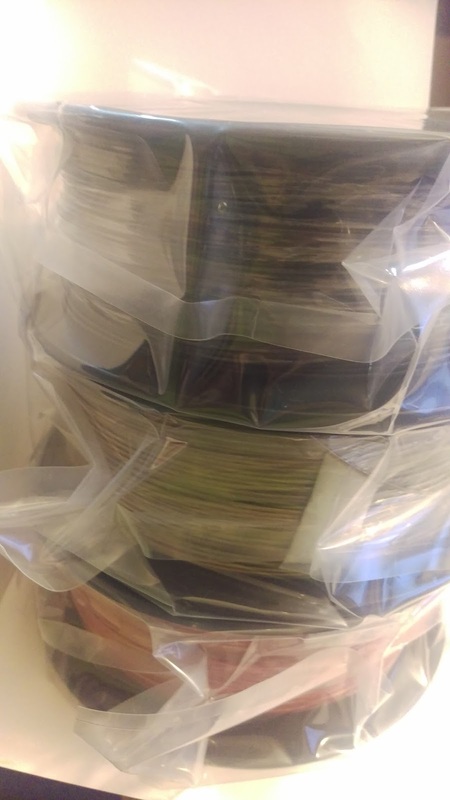 In order to fit all the cards with sleeves from the base game + six expansions on my printer, I had to cut the biggest card section (for flare cards) into their own print. I can still fit them onto the printer side by side, just not length wise. I have one of the smaller printers, so hopefully it works for the folks on thingiverse. 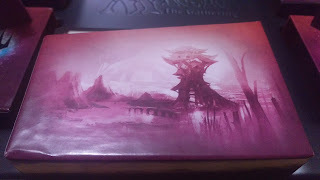 I also design a large holder for the alien cards, based on ZekTheMad's large card holder on the Eldritch Horror project I printed earlier in the month.. I did all the measurements myself, just based on his.. 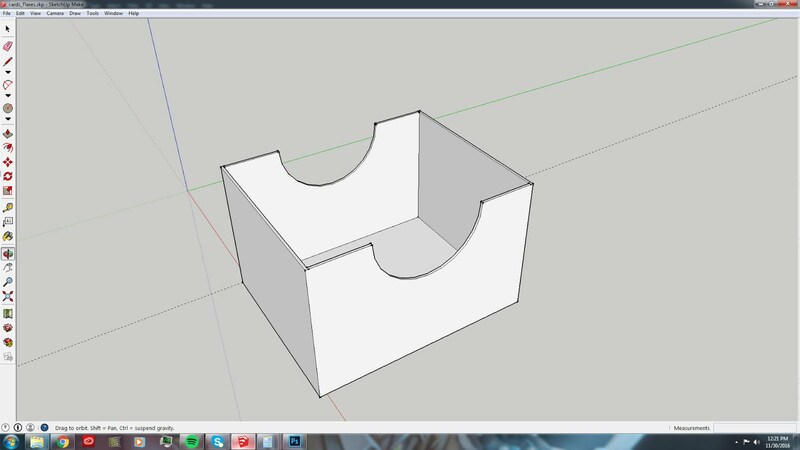 I liked the look of the rounded slots. I decided that the best way to store all 8 sets of player pieces would be to make a lipped box and store them on their side. I need to print one of them and test it with the player pieces, since the inside is just enough to fit the round planets. 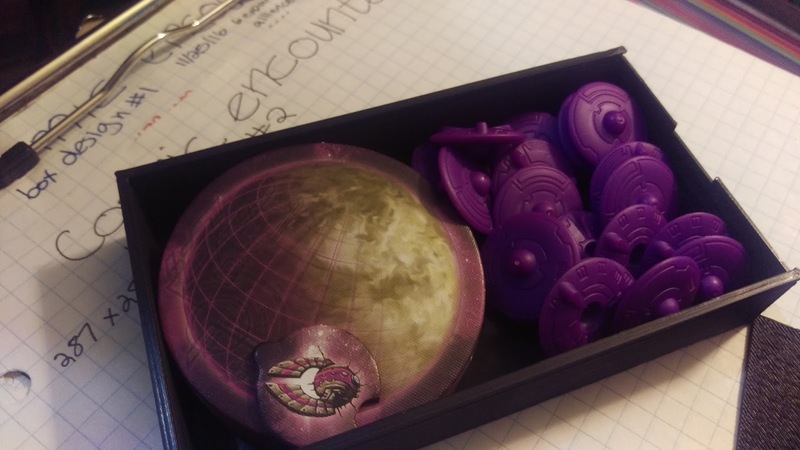 The rest of the box should be good though, more than enough space to fit all the ships as well as those planets, if the planets fit. 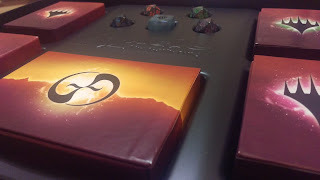 In the remaining space, in the corner at the end of the cards, I designed a generic token tray with a lid. 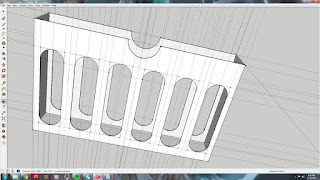 It should fit 2 trays on top of each other. 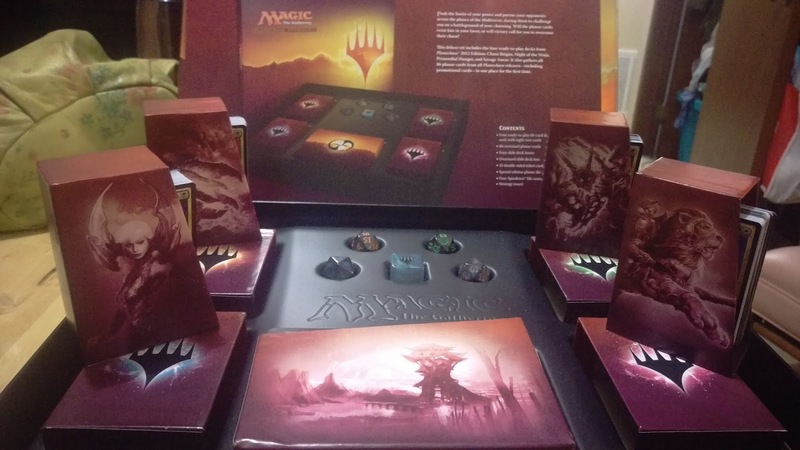 Now, this said - I have no flipping idea if this will be enough storage space for all of the tokens and extra cardboard cutouts that came with the expansions. 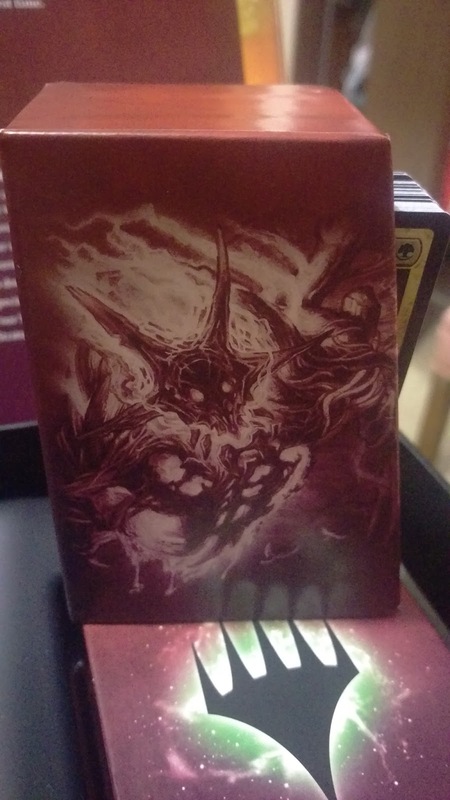 I may test my prints on Nameless Roommate #1's copy, as he has all but one expansion. I feel that this will give me a good enough feeling for what will fit. 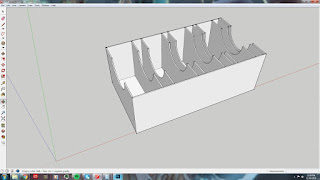 My next step is to print out the files (I am still just waiting on the some plastic, my shipment from push plastics is est. 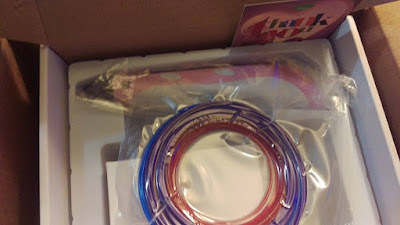 delivery date of 12-6 (omg, wtf, amazon has ruined me) So when a CamelCamelCamel alert came up for Dixit Quest, I added some cheap PLA to the order. 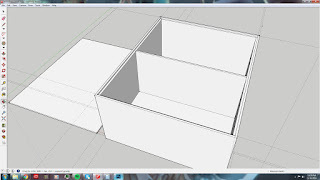 It should be here today, so I just need to export my sketchup files to the right format(.stl), and prepare my bed for printing. 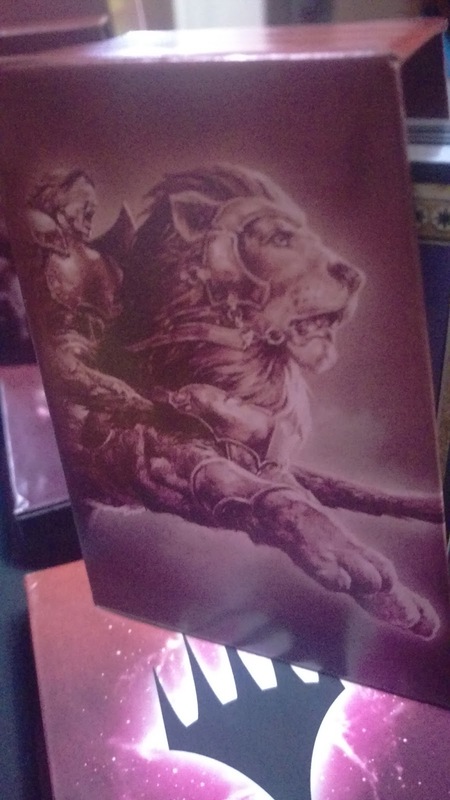 Hopefully I will have some kind of picture of a printed item to show everyone tomorrow. I was excited as hell to hear about this years Magic the Gathering Planechase Anthology. 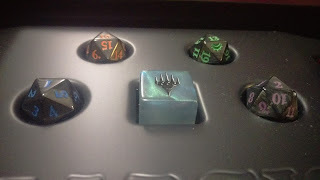 I decided to do a quick unboxing post.. I generally don't get super excited over anything, but I enjoy the planechase card, and in comparison to how much they cost on ebay, this is a steal! I don't have a lot of text to go with it, so here are a bunch of images. 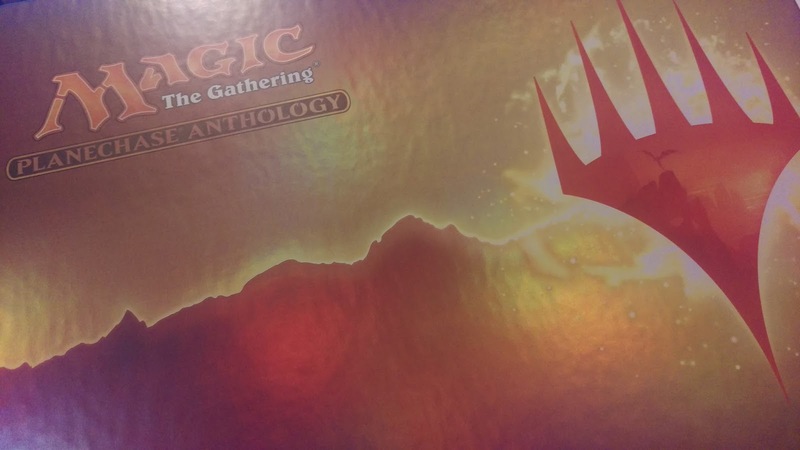 The original special box that the anthologies come in, containing four premade decks. Each deck comes in a pretty cardboard box with art of the main legendary included in each deck. There are 4 20 sided dice in colors coordinated with the deck box art. 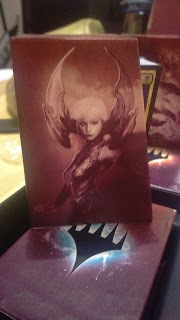 Let me know what tweaks you are making to your preconstructed decks! Looking for a board game? Try one of these! I'm just an average jo. I work for the man, creating graphics and content for over 10,000 client sites. I also do some freelance web design and graphic creation for funsies. I consume a lot of content, Netflix, Hulu, Amazon Kindle unlimited, reddit, etc. I love playing boardgames and have a decent collection. 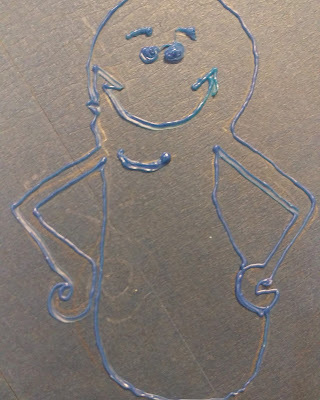 I wish there was more time in the day to play and also tinker on my 3d printer. Lately I've been combining the two hobbies, printing projects for table top gaming. Hey Guys, It's me, Vanessow. I just wanted you all to know that I *do* use some affiliates links, mostly just to keep my server paid for. All products are linked to things I actually use or like or want or need. I'm definitely not paid for any recommendations, and would disclose if I were. Content written by and belongs to Vanessa Otero.. Simple theme. Powered by Blogger.